Unfortunately, there still is no cure available for chronic obstructive pulmonary disorder (COPD). However, there are a number of treatments and therapies which can help patients control the symptoms of COPD. Of course, the course of treatment applied will depend on the severity of the individual’s condition at the time. If you have been diagnosed with COPD, there are plenty of COPD clinical trials available around the country. First off, it is important that a patient who has been diagnosed with COPD actually must stop smoking cigarettes if they are a smoker. Once a patient has quit, they will soon begin to regain better lung function. 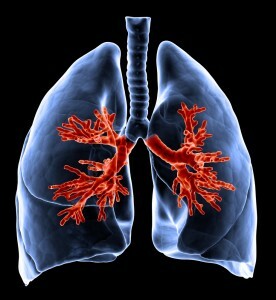 In fact, there is a decent chance that regain close to normal lung function within a year of smoking cessation. Patients Bronchodilators: COPD patients develop narrowed airways that tighten and can cause fits of gasping, chocking, and shortness of breath. Bronchodilators will relax the smooth muscle surrounding the airways of the lungs. This allows them to expand so that oxygen is able to flow through with less obstruction. Some bronchodilators are used to achieve short-term relief (short acting bronchodilators) and then others take long to produce better results, but they do last longer. These are known as long acting bronchodilators. Short acting beta 2 agonists/short acting bronchodilators: These are prescribed to COPD patients when needed. They start to take effect within 15 minutes of being administered. Currently there are a number of short acting bronchodilators available including: the independent drugs Proventil HFA, Xopenex (levalbuterol), Atrovent (ipatropium), Maxair (pirbuterol), Proair, and Ventolin HFA (albuterol), as well as the combination drug Combivent® (albuterol and ipatropium). Beta 2 Agonists/long acting bronchodilators: These drugs can be used on a normal basis, instead of just when the symptoms of COPD get too difficult to manage. Examples of long acting bronchodilators include: Serevent (salmeterol), Foradil (formoterol), and Spiriva (tiotropium). Combination of long acting bronchodilators and anti-inflammatory drugs: Anti-inflammatory drugs are used to reduce the inflammation that COPD causes in the airways. In order to achieve this in COPD patients, doctors will use corticosteroids and corticosteroid pills. Combining an anti-inflammatory agent with a long acting bronchodilator will produce the benefits of two types of COPD treatment in one. Examples of this type of combination treatment include: Symbicort (Foradil, the long acting bronchodilator and Pulmicort, the anti-inflammatory) and Advair (Serevent, the long acting bronchodilator and Flovent, the anti-inflammatory). Anticolinergics: Anticolinergics work to relax the smooth muscles located in the larger airways of the lungs. Examples of this form of COPD treatment include: Atrovent (ipratropium bromide) and Oxivent (oxitropium bromide). Anti-inflammatory drugs: These drugs are prescribed to COPD patients in order to reduce inflammation of the airways in the lungs and thus allow them to breathe easier. It is important to note that anti-inflammatory drugs will not offer immediate relief in an emergency situation (COPD exacerbation for instance), as these are to be taken on an ongoing basis. These anti-inflammatory corticosteroid treatments used for COPD are available in an inhaler, syrup, or pill form. Inhaled corticosteroid anti-inflammatory drugs: These are taken via a nebulizer or inhaler. The corticosteroid medication is in a liquid form, and it can be inhaled using the inhaler or nebulizer. Examples of this form of COPD treatment include: QVAR (beclomethasone), Pulmicort (budesonide), Asmanex (mometasone), and Flovent (fluticasone). In order to help improve a patient’s oxygen flow, people who are dealing with low levels of blood oxygen are required to carry around a supplemental container of oxygen. This will ensure that they are able to get enough oxygen to their brain, which allows them to maintain a significant level of mental and physical functioning. The supplemental oxygen will be delvered through the patient’s nostrils via nasal prongs or an oxygen therapy mask. Therapeutic pulmonary rehabilitation programs are available for COPD patients who are struggling with shortness of breath while performing daily activities. They will help them establish better breathing techniques which can improve their quality of life. COPD patients will usually spend around eight weeks undergoing pulmonary rehabilitation. Some programs also offer a variety of inpatient therapy sessions while others provide valuable outpatient services. Some cases of COPD get so severe that the patient will have to undergo lung transplant surgery in order to continue living. In other cases, surgeons may perform some lung volume reduction surgery (LVRS) in order to remove the damaged lung tissue and help improve lung functioning. LVRS has proven to be quite successful in improving a patient’s ability to breathe and exercise. Then again, they may decide to perform a bullectomy, a type of lung surgery where the surgeons remove the bullae (large air spaces that can interfere with breathing). It is important to remember that each and every case of COPD is unique, and that means that no two cases can be treated the same way. If you have already been tested for COPD, then you should talk to your doctor about developing the course of treatment most appropriate for your condition.